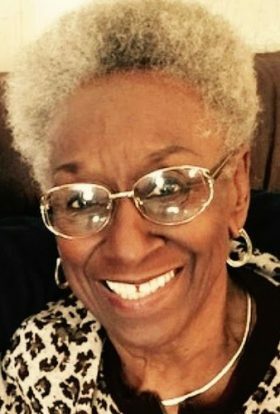 DeLoris found her peace on Wednesday, September 13, 2017, at age 83 with her family by her side. Loving mother of Jerome, Theresa , Shirron, Arthur Jr. and Eric. Dear Grandmother of Shauna (Charles) Hervey-Thomas, Stephanie Hervey, Zachary (Destinee) Logan and Whitney (Jeremy) Everette. Proud great-grandmother of Kristopher, Destiny, Brandon, Nina, Amon, Vitoria “VV”, Eliotte and Piper. She is further loved and cherished by many other relatives and friends. DeLoris was an employee of the United States Postal Service for over 30 years. After retirement, she continued her mission doing volunteer work. A truly dedicated person of service, she touched many lives from her closest relatives and friends to many others. She volunteered her time at the Veterans Administration Hospital, Interfaith of Wisconsin and the Milwaukee Literacy Center, a proud member of the Milwaukee Red Hatters Chapter, the Washington Park Senior Center and Gospel Choir. But most important to her was her faith and membership at Mount Zion Missionary Baptist Church. A Memorial Service will be held on Saturday, September 23, 2017 at 2:00 PM- 4:00 PM, Mount Zion Missionary Baptist Church, 2207 North 2nd Street, Milwaukee, Wisconsin 53202. Repast to follow. A special “thank you” to AseraCare Hospice for their extraordinary care. May the resurrection hope, mentioned in God's word the Bible, be of comfort at this time, to the family & friends. Deloris made a huge impression on me, though I only met her a couple of times...I know she will be sorely missed...her grace, her warmth and her humor were abundant. I am keeping her and her family in my thoughts and prayers. Eric, you and your family are in our prayers. So very sorry for your loss Eric and the entire Hervey Family. She was the heart of the family.